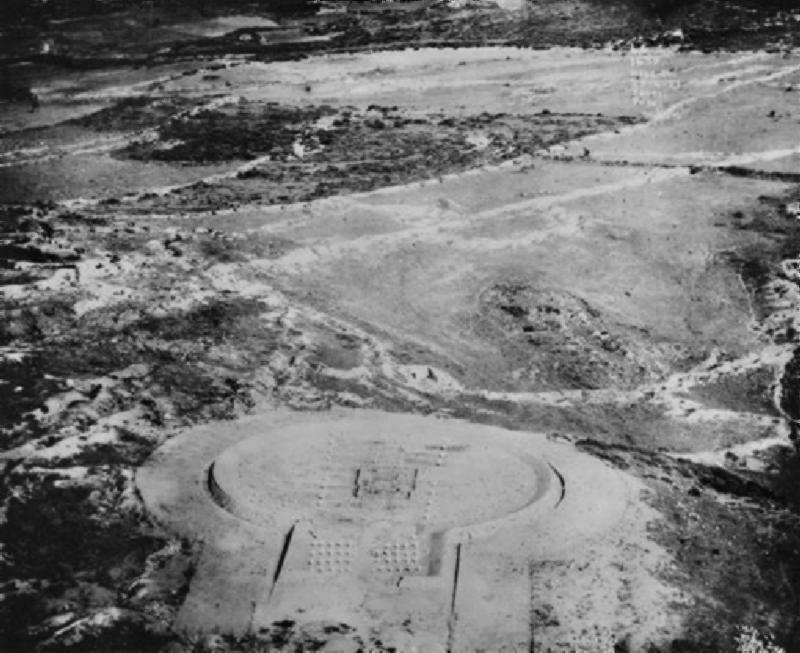 Hill 60, Gallipoli, from the air in 1923. Hill 60, a low rise on the north-western approaches to Hill 971, which on 21 and 27 August 1915 became the focus of several badly handled attacks which resulted in costly and confused fighting that marked the end of the last major offensive at Gallipoli. 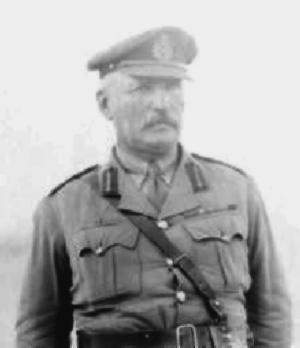 The operation was undertaken in an attempt to widen and strengthen the corridor of foreshore which connected newly landed British forces at Suvla Bay with the established beach-head at Anzac. While elements of the Suvla force concentrated on seizing a detached foothill of the range behind that beach-head known as the `W Hills', troops from the Anzac position were to capture Hill 60, a low rise on the north-western end of the foothills leading to Hill 971 - thereby effectively enabling the two forces to link up. This album comprises maps and photographs extracted from the various sources. Most maps are posted twice, the first post being a full sized document while the second is of smaller size noted with an "s" at the end of the link. Gueudecourt, a village on the Somme battlefield in northern France, became the scene of two attacks by Australian troops in November 1916 which were made amid conditions rated as the most difficult ever faced by the AIF. The British offensive of this front in September-during which I Anzac Corps was resting in the Ypres sector after its losses at Pozieres and Mouquet Farm had advanced the line into a valley below the Bapaume heights. Here the onset of Autumn rains turned the ground into a quagmire, and attacks against the German lines by the British Fourth and Fifth Armies during October all failed totally with heavy losses. This album comprises maps extracted from the various Unit War Diaries. Each map is posted twice, the first post being a full sized document while the second is of smaller size noted with an "s" at the end of the link. Area in which the Battle of Gueudecourt was fought. 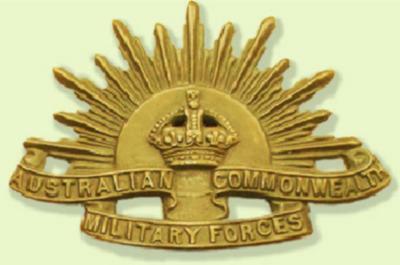 The followin index is a listing of all major battles which occurred on the Western Front during 1916 to 1918 in which Australians participated. Each link opens a description page of the particular battle. At the bottom of each page is a section called "Further Reading" which gives a brief menu highlighting other items. Foremost of all items is the "Contents" page which allows you to explore in a systematic manner the material that resides upon this site. Fromelles, France, July 19 to 20, 1916. Pozieres, France, July 23 to August 5, 1916. 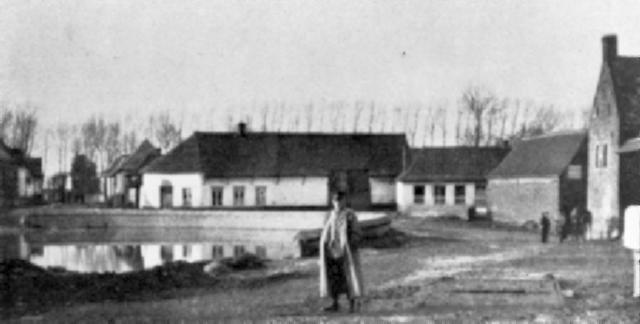 Mouquet Farm, France, August 8 to September 3, 1916. Gueudecourt, France, November 5 to 14, 1916. First Bullecourt, France, April 11, 1917. Lagnicourt, France, April 15, 1917. Second Bullecourt, France, May 3 to 17, 1917. Messines, Belgium, June 7, 1917. Third Ypres, Belgium, September till to November, 1917. Menin Road, Belgium, September 20, 1917. Polygon Wood, Belgium, September 26, 1917. Broodseinde, Belgium, October 4, 1917. Poelcappelle, Belgium, October 9, 1917. Passchendaele, Belgium, October 12, 1917. Hébuterne, France, March 27 to April 5, 1918. First Dernancourt, France, March 28, 1918. First Morlancourt, France, March 28 to 30, 1918. First Villers-Bretonneux, France, April 4, 1918. Second Dernancourt, France, April 5, 1918. Hangard Wood, France, April 7, 1918. Hazebrouck, France, April 14 to 17, 1918. Second Villers-Bretonneux, France, April 24 to 25, 1918. Es Salt, Palestine, April 30 to May 3, 1918. Second Morlancourt, France, May 4 to 9, 1918. Ville-sur-Ancre, France, May 19, 1918. Third Morlancourt, France, June 10, 1918. Hamel, France, July 4, 1918. Amiens, France, August 8, 1918. Lihons, France, August 9 to 11, 1918. Etinehem, France, August 10 to 13, 1918. Proyart, France, August 10 to 12, 1918. Lille, France, August 16 to 17, 1918. Chuignes, France, August 23, 1918. Mont St Quentin, France, August 31 to September 2, 1918. Hindenburg Outpost Line, France, September 18, 1918. St Quentin Canal, France, September 29 to October 1, 1918. Montbrehain, France, October 5, 1918. Bullecourt - First, France, April 11, 1917. Bullecourt - Second, France, May 3 to 17, 1917. Dernancourt - First, France, March 28, 1918. Dernancourt - Second, France, April 5, 1918. Morlancourt - First, France, March 28 to 30, 1918. Morlancourt - Second, France, May 4 to 9, 1918. Morlancourt - Third, France, June 10, 1918. Villers-Bretonneux - First, France, April 4, 1918. Villers-Bretonneux - Second, France, April 24 to 25, 1918. Ypres- Third, Belgium, September till to November, 1917. During the Jordan Valley days of the Anzac Mounted Division in 1918, a daily report was issued by the Brigade to Regiments under its command to keep the men informed as to the happenings around them. The information was vital to keep the men alive and well. This archive was discovered in private hands and has been generously donated to the Australian public for open use. The pages are only free for private study purposes and cannot be reproduced for commercial purposes. This album comprises these reports. Each report page is posted twice, the first post being a full sized document while the second is of smaller size noted with an "s" at the end of the link.